The Fiji Airways Fijian Drua cannot afford to risk their chances against reigning champions Queensland Country in the Australian National Rugby Championship final showdown at Churchill Park, Lautoka on Saturday. The Drua management is closely monitoring what the players eat since they returned to camp in Nadi yesterday. Last week five players were in hospital suffering from food poisoning. Coach Senirusi Seruvakula got the medical clearance a few hours before they played Canberra Vikings in the semifinal last week. He said the team management is closely monitoring the team’s diet in camp. “We can’t afford to have that mysterious bug spoil our preparations again. This is the final, it’s crunch time,” Seruvakula said. He applauded the players for playing nine weeks non-stop and, for the first time, to host the semifinal and final, and keep the Little-Horan Shield for the season. “The players have responded well and set a benchmark. We are closer to making history and I applaud the players for being committed to the cause and flying the flag with pride. “Everyone should be fit and ready to play on Saturday. “I think we should just believe in ourselves and prepare well for this week and everything else will take care of itself. Seruvakula is calling on Fijian rugby fans to support the team on Saturday. 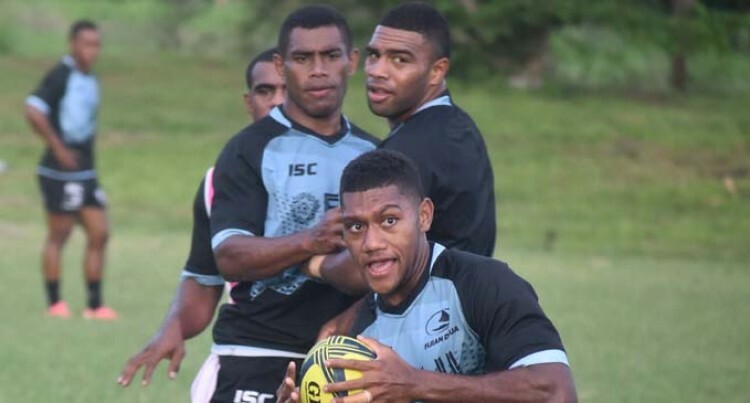 The Fiji Airways Fijian Drua – Queensland Country match kicks off at 3.30pm.